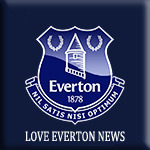 Dominique Bruinenberg hopes to help the Toffees build on their recent victory over Reading after making her first start for Everton. The Dutch midfielder, signed from Sunderland in the summer, was given her debut off the bench in the Continental Cup tie at Durham back in late August and made a late cameo in the WSL defeat at Birmingham prior to Sunday’s meeting with the Royals. She was handed a place in the starting line-up for the Continental Cup clash with the Berkshire-based outfit at Southport’s Merseyrail Community Stadium and helped the Blue Girls pick up their first three points of the campaign with a 3-2 success. Now she has her sights set on keeping her place in the starting line-up for big league games against Manchester City (Thursday, 7pm) and Chelsea (Sunday, 2pm). “I loved it,” she said. “I have worked hard to get into the starting line-up and to do that and come away with a win was amazing. “It was hard work but we stuck in and gave it our all. We were on the front foot, winning all the second balls and we just knew it was coming. I thought we were fantastic on Sunday. “It felt so good to win. Definitely after losing our first two games it feels fantastic to go into Thursday off the back of a win. “I have kept working hard this week because it’s a big few days with three games. I thought I played well and it felt great to contribute to a win. Bruinenberg played a part in Everton’s opener against the Royals, her quick feet and pass allowing Claudia Walker to fire past keeper Rachael Laws for her first goal since returning from a serious hamstring injury. The 25-year-old was also delighted to see compatriot Inessa Kaagman open her account since her own summer arrival from Ajax as she lobbed Laws for the game’s winner in the second half. “It is definitely nice to get an assist,” she added. “It happened quite quickly but I’ve taken a touch, got around the defender then played a little disguised pass into Claudia and her finish was very good. “I was so pleased for her to score. She has worked so hard to get back to full fitness and she has been so focussed. I’m so happy she got the two goals. Tickets are still available for Everton’s WSL clash with Manchester City at the Merseyrail Community Stadium on Thursday night, kick-off 7pm. Andy Spence insisted there is no time for his Everton Ladies side to dwell on their disappointing 4-0 defeat to Manchester City. Having beaten Reading at the Merseyrail Community Stadium on Sunday, the Blue Girls were brought back down to earth by clinical City side at the same venue on Thursday night. But with a third straight home game against Chelsea to come this Sunday, Spence knows his players must react quickly from a difficult result. “You have got to accept the moments that you have played well and picked up results and wins but then at the same time, when you play against really good opposition, you can come away with a bloody nose,” he said. “That’s what’s happened for us tonight. “City were at their ruthless best but we have got another big game around the corner. You can feel like the world’s best team when you win a game like we did on Sunday, but we are not the world’s worst team just because we have lost tonight. The Toffees were behind in the 14th minute despite a bright start, City midfielder Georgia Stanway drilling a half-cleared corner past Kirstie Levell. That’s the way it stayed until the break despite Everton striker Claudia Walker drawing a smart stop from England keeper Karen Bardsley. But after the break the visitors moved up the gears. Former Toffees Nikita Parris struck twice in quick success, rounding off a flowing team move with a fine finish before rifling into the roof of the net from Lauren Hemp’s pull back. Claire Emslie struck a stunning fourth late on to round off a disappointing evening for the Blue Girls. One positive was the energetic cameo of Hannah Cain, who stepped off the bench for her Everton debut, nearly marking the occasion with a goal when she was sent clear by Walker and sent a rasping drive that Bardsley did well top tip over the bar. Next up is Sunday’s clash with reigning WSL champions Chelsea at the Merseyrail Community Stadium, kick-off 2pm.